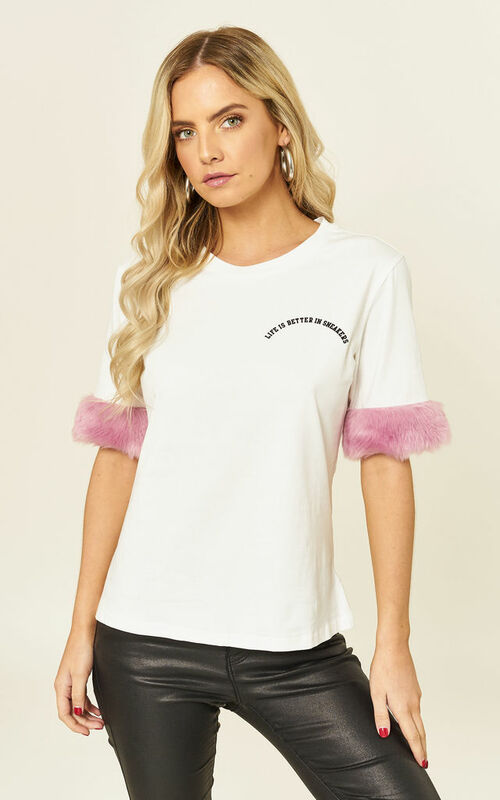 Pink Faux Fur Sleeve T Shirt By B. W. G.
Amazing tee with a twist. BWG offers appliqué basic jerseys you will keep wearing for ever. Pink sleeve fur trim tshirt to match with trainers and leather look jeans. This product is dispatched to you by B. W. G.
Shop more from B. W. G.